Building a startup takes a lot of hard work and determination. It also takes a certain personality type and specific characteristics. Highly successful startup founders do a few things differently than the typical business owner. It’s not just ping pong tables and kegerators. Highly successful startup founders not only embrace failure, oftentimes they seek it out. Conducting small scale experiments based on your large scale business plan is a great way to identify any potential problems and address them before scaling up. Keeping an eye on the future is also key. Building a business now doesn’t mean automatically that it will last forever. You have to be able to see changes in the market coming and make adjustments in kind. You can build the biggest and best startup today but it could end up irrelevant in five years. And you can’t rely on the ping pong table index to know when change is coming - you have to be able to identify markers in the overall economy. You will also need to build your network, and we’re not talking about leaving your business cards on the table at the local coffee shop. Go out and meet people face to face. Don’t rely on specifically-designated “networking events” to do so. Meet people in the wild and get to know them organically. This is the group of people you will come to rely on. 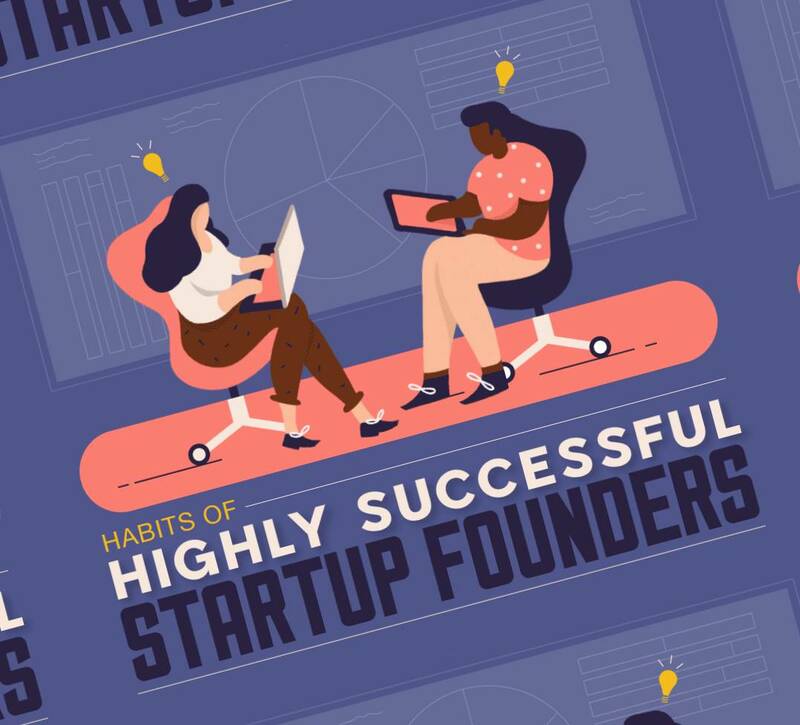 Learn more about the habits of highly successful startup founders from this infographic. Chances are you have what it takes, you just need to find it within yourself. Are you ready to change the world?